The need for a simplified, highly visible network solution is becoming more apparent to enterprises. A study conducted by Dimensional Research for Versa Networks found that 85 percent of enterprises are considering implementing software-defined wide area networking (SD-WAN) as a solution to common network woes. Complex network configurations: One of the major drivers of this trend is the growing complexity of enterprise networks. Seventy-four percent of those surveyed said they are using a direct internet connection and are forced to deploy additional devices in order to guard against security threats and other risks. With these additional devices and growing complexity comes a limitation to visibility. Once a breach, a problem with congestion, or a connection quality problem arises, network engineers are unable to segment and isolate the issue, if they can even determine where the problem lies. 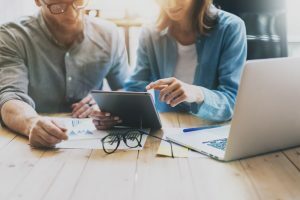 Challenges with branch provisioning: Another problem motivating enterprises to look to SD-WAN is the time and difficulty involved with preparing a new branch location for connectivity. Provisioning may take up to a month, and the travel involved for network engineers can be both time consuming and costly. Security concerns: The implementation of cloud software, the increasing popularity of Internet of Things (IoT) devices, and the rise of bring your own device (BYOD) mean introducing a much broader security plane, as well as many more access points in the network. Enterprises can train employees on device security, but IT still needs to have visibility into the ways data is transmitting on these devices. Increased visibility and centralized management allow engineers to troubleshoot, segment traffic, and provision branches, all from one location. A subscription-based pay model allows the investment in SD-WAN to be categorized as operating expenses, rather than a one-time capital expense. Network traffic can be directed to a variety of pathways, including broadband and multi-protocol label switching (MPLS), based on how critical the data transmission is and according to business policy. SD-WAN is scalable and allows for enterprises to pay for only the number of users they need, but with the flexibility to adjust for seasonality and other factors. SD-WAN provides better visibility into security issues, and allows technicians to isolate a suspected breach from the rest of the network. This is particularly helpful when it comes to BYOD or the IoT, where there are many data access points and a relatively high risk of breach. The study finds that of those considering SD-WAN, 93 percent will deploy it by the end of 2019, demonstrating the pace at which networks are becoming more complex in the enterprise. You may be considering SD-WAN as a solution to your own network complexity. Contact us at Wanify to determine the right fit for your network, as well as additional considerations to include in your decision-making process.